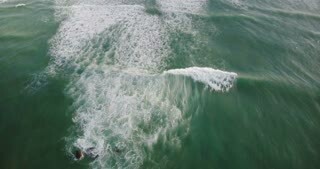 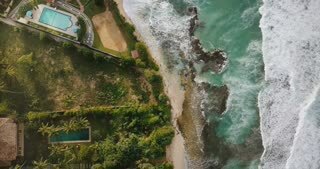 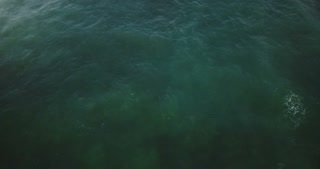 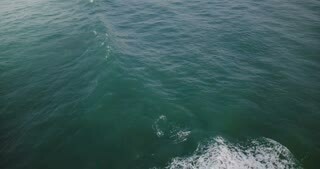 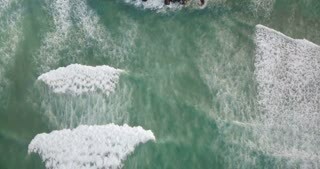 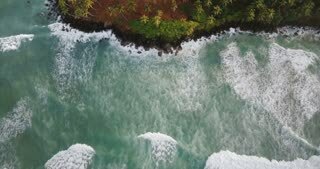 Drone flying over foaming blue waves breaking in open ocean, then reaching shore with tropical island palm trees. 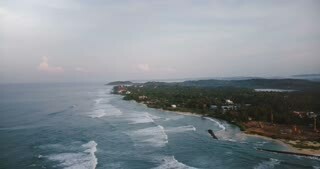 Amazing aerial view of blue ocean waves foaming and crashing at exotic shore with tropical island green palm trees. 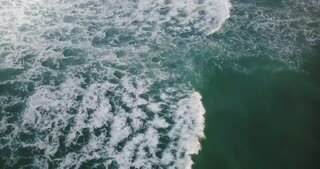 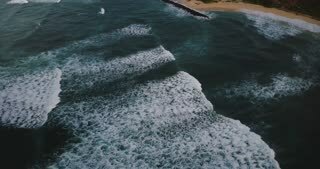 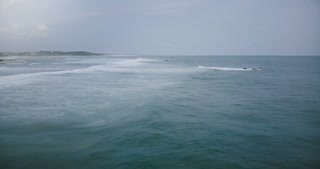 SLOW MOTION: Large turquoise breaking ocean wave approaches tropical island.